Much has been made of Intel’s new Bay Trail processor family as a new-and-heavily-improved generation of Atom processors, but the fact is, there’s so much more going on under the hood. Yes, there’s finally an energy-efficient, 64-bit capable Intel processor for the tablet market, and no, they’re still not competing effectively with ARM SoCs for the mobile device market. Still, what makes Bay Trail so distinct is actually what makes the generation so confusing to talk about. Since the introduction of the Intel Atom line of processors in 2008, there has been a marked performance gap between even the highest-performing Atoms and the lower-tier Celeron and Core i3/i5/i7 processors. In fact, genuine HD media support only came to the Intel Atom family in the last generation, and even then it was at the cost of Linux and 64-bit OS support due to the pairing of PowerVR graphics with the CPU. There are still sub-10 watt Bay Trail processors available (the 5 watt, hyper-efficient but unexciting single-core E3815 springs to mind), but now there are legitimate contenders, in the form of economical, mainstream dual- and quad-core processors. The lines have gotten so blurred, in fact, that Bay Trail stretches the boundaries of the Atom line, going so far as to offer processors branded Celeron, such as the upcoming J1900. The J1900 and its fellows do what no Atom has done before: escape the stigma of their performance-neutered predecessors. With four cores, 64-bit support, and the ability to run Linux, the J1900 managed to outperform the socketed desktop Ivy Bridge Celeron G470 in Passmark. While much of the focus is on the consumer tablet end of the market, IPC products are trickling onto the market. 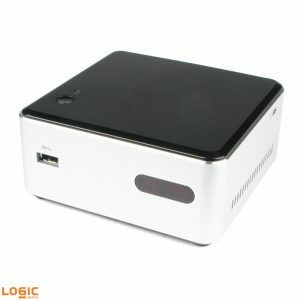 Intel’s own Forest Canyon NUC offers the most economical NUC option yet, with the N2820 processor and room for a 2.5” hard drive. Wi-Fi is included. 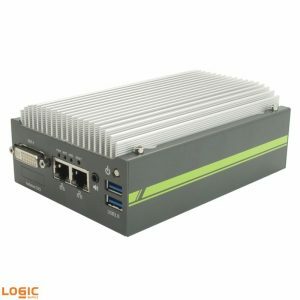 More suited to signage and desktop-lite applications than embedded deployments, it’s nevertheless a capable and affordable little machine. Out this month and on the other end of the IPC spectrum is the new POC-200 from our partners at Neousys. Only a little bigger than the Forest Canyon, the POC-200 abandons the Intel unit’s consumer aspirations and sets its sights on the automation and surveillance markets, with a -20~75 degree Celsius operating temperature range, four COM ports, and dual LAN (also available with a Power over Ethernet upgrade).